One of the most recognized types of screwdrivers in the US is the traditional Phillips® screwdriver. 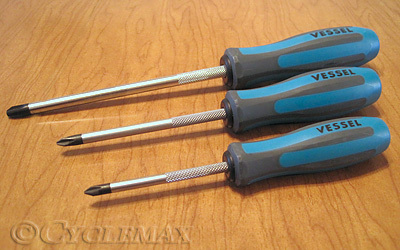 It’s probably the most commonly used driver in your toolbox for fastening cross-point screws. Do you experience “cam-outs” and damage to screws when using a Phillips® screwdriver on Japanese brand products (motorcycles, ATV’s, automobiles, etc.)? If so, then it may be a “JIS” (Japanese Industrial Standard) screw. A JIS and a Phillips® screw may look the same to the human eye, but they have completely different profiles and it's important to know the difference. Henry Phillips invented and patented the Phillips® design in 1936. The Phillips® design was a great solution for the automobile production lines since it was designed to “cam-out” after a certain torque was reached to prevent over-tightening of the screw. Another advantage over the use of flat head screws was that the Phillips® self-centering design allowed operators to engage the tip of the driver into the screw head very quickly and easily. 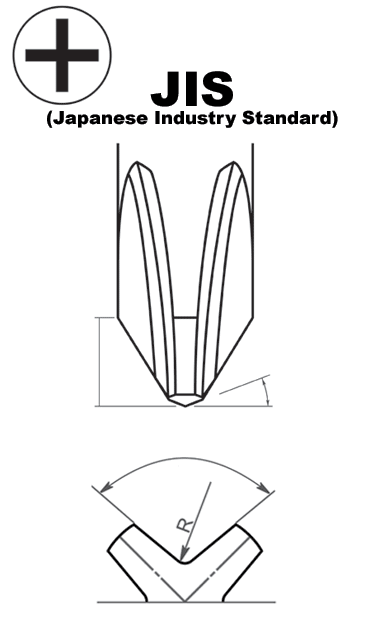 Japanese engineers developed their own cross-point design similar to that of the Phillips®. The Japanese cross-point drivers also have the self-centering and quick tool and screw engagement, however the “JIS” (Japanese Industrial Standard) design allowed torque and over-tightening to be controlled by the operator and not at the head of the screw. This key difference is why Phillips screwdrivers cannot properly engage "JIS” (Japanese Industrial Standard) screws. It’s very hard to distinguish the difference between a Phillips® versus a JIS screw without magnification. Some JIS screws can be easily identified by a single dot or dimple on the head of the screw. However, it could be difficult to identify one from the other if the screw doesn’t have a marking. 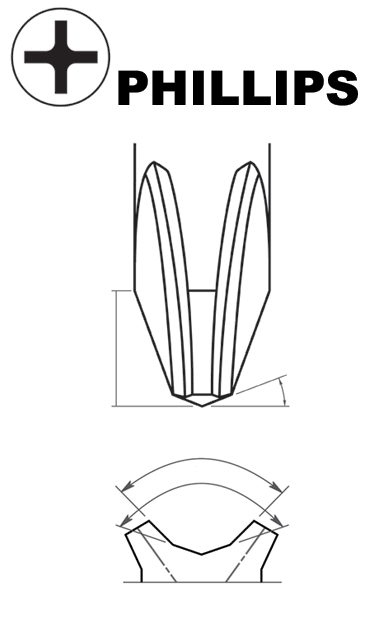 You can see the difference between the two cross-point designs in the above diagram. The Phillips® and the Japanese JIS profiles may look the same, but they are indeed significantly different when you look at them under close magnification. An overall rule of thumb is that Japanese cross-point screwdrivers are recommended in order to help prevent cam-outs and screw damage when working on Japanese brand products.